Exactly suitably to optimization stamping out! 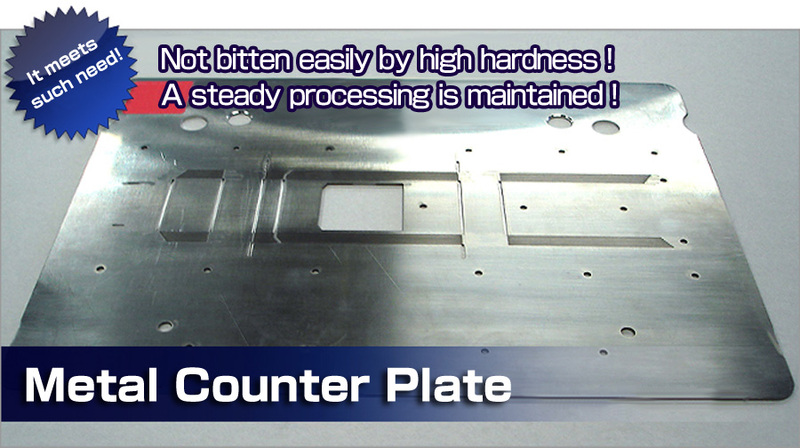 The Metal Counter Plate is produced by ditching it directly with the precision machine in a high hardness metallic plate. he Positioning with the Metal Dieboard can work accurately and easily by the Quick Resisting. The Metal Counter Plate is fixed to the Dead Plate by the Plate Lock using washer of special shape.